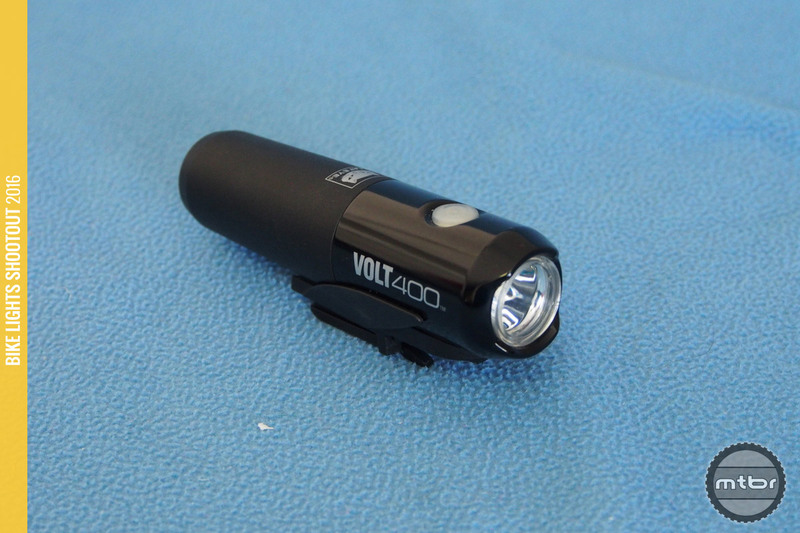 The CatEye Volt 400 serves as a good flashlight (click to enlarge). The CatEye Volt 400 will not wow you with its blazing output or diminutive size relative to its brightness. Rather it will impress you with its day-to-day performance and solid design. Price is good to at $80 for a light that is bright enough for the needs of most cyclists, specially commuters. Put one of these on the bar and one on the helmet and you’ll get a good, trail-ready system with excellent run-time and flexible beam pattern. 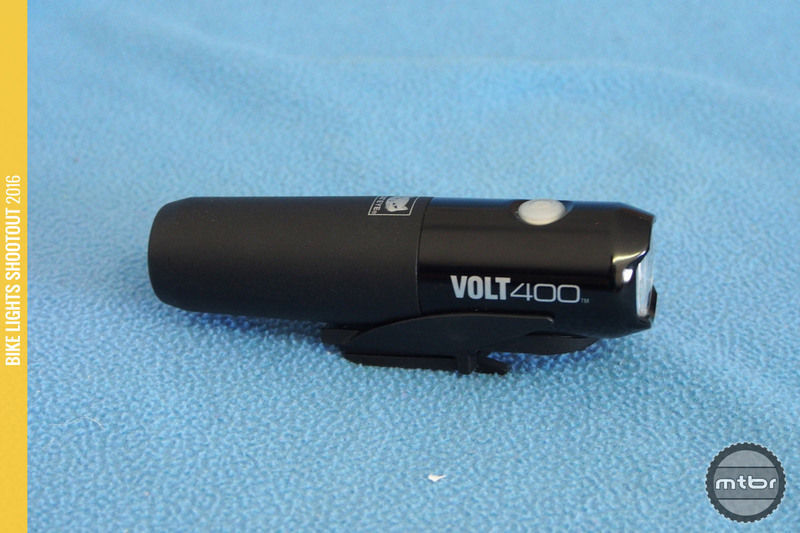 One of the fascinating things about the CatEye Volt 400 is its impressive lineage. One can choose up and down the line to meet a price and brightness level for one’s need. The constant is the quality of CatEye and the line’s honest performance in reference to their claims. Battery life on high is 3 hours with a powerful 2200 mAh battery. Charging time is 6 hours with a 1 watt USB or longer with a standard phone charger, as the light can detect and take advantage of more powerful USB currents. The beam is shaped as well, with squared-off edges to track the trail better and use the light more efficiently. The riding video will show that this light is more of a commuter light but use two of them and you’ve got a great trail system. The CatEye Volt 400 has the same chassis as its more powerful siblings (click to enlarge). The real possibility here is mixing and matching the CatEye Volt Series for an ideal setup for one’s needs and budget. Put a Volt 800 on the bar and this on the helmet and you’ve got quite a system.